Questions? Contact Mark Schiffer or any board member on the Contact page. Here’s the March newsletter. Each month we have a letter from one of our co-presidents, thank you’s and notices about what members have been doing, and listings of upcoming concerts. This month we have information about summer workshops. Now’s the time to plan to go! 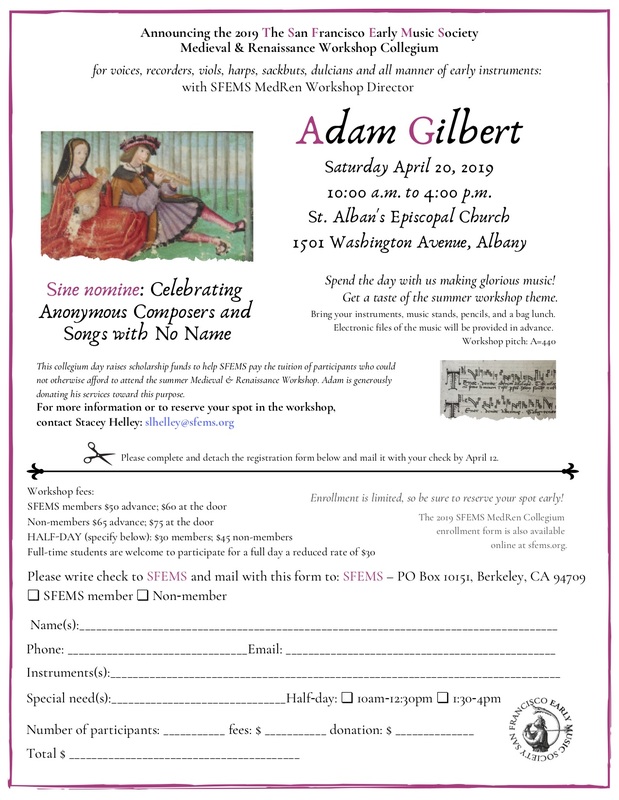 Several of us have gone to the SFEMS Recorder Workshops at St. Albert’s Priory in Oakland. A fun- and music-filled week! The SFEMS workshops fill up quickly, so register sooner rather than later.